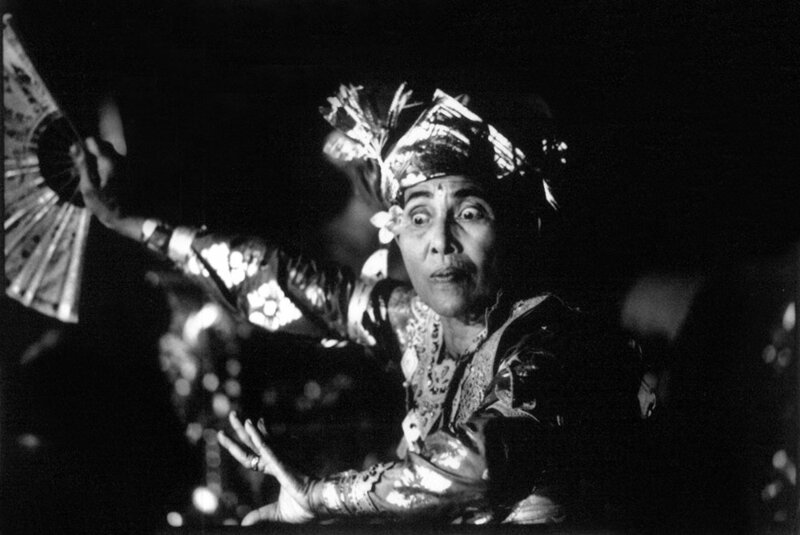 In 1994, several of the legendary Balinese dancers and musicians came together for a rare series of performances spread over three nights in Peliatan, Bali. Their ages range from their 60s to their 90s. The elder members of this group were the celebrated prima donnas who had toured Europe in the early 1900s and enthralled European audiences with the power, beauty, and purity of classical Balinese dance. Many of these inimitable elder dancers and musicians had not appeared in public for decades, if not generations. Even the Balinese themselves had believed that many of them were no longer living. It was a celebration of Bali’s most treasured elder masters of the dance and the gamelan, still energetic and exuding taksu (a unique Balinese concept that bespeaks charisma and spiritual power), defying the passage of time to enchant us with their consummate skills, incomparable in their generation. Underlying this remarkable gathering was an exhaustive 2-year island-wide search for these few ‘missing’ masters of Balinese dance and music, believed to be still alive but living obscurely in some remote village. My role in this extraordinary project included documenting the search (when in Bali) that led to the discovery of some of the masters, helping with the interviews, and subsequently, photographing the rehearsals and performances. It was a pleasure to work side by side with, and to learn, from two of the region’s preeminent photographers, Tara Sosrowardoyo (Indonesia) and Eric Peris (Malaysia). The documentation honours the elderly artists and aims to preserve their endangered styles and repertoire. The work was later donated to the various archives and other specialised repositories of performing arts, including Agung Rai Museum of Art (Bali), National Archives (Jakarta), and Galeri Petronas (Kuala Lumpur). A connection was made with the estate of Henri Cartier-Bresson who documented Bali in 1949—it is likely that he had photographed some of these same dancers and musicians in their younger years. Captured within the documentation were the essential beauty and dignity, joy, and vulnerability of artists who have honed their art all their lives. But even more impressive was the irreducible economy of their movement, the dignity and clarity of their intentions, and perhaps most of all, the magic of their creative imagination. The interviews—where we recorded the stories of the elder dancers and their own unique stylistic expression of classical Balinese dance forms—with Agung Anom (Artistic Director of Gamelan Semara Ratih and interpreter), Eric Peris, David Lok, and the project team. Interview with a master musician—with Agung Anom, Eric Peris, David Lok, and the project team. The seniman tua (elder artists)* who performed at The Living Treasures of Bali, May 1994, at Puri Agung Peliatan, Ubud, Gianyar. Ten years later, on 26 December 2004, a gala performance Living Legends of Bali was held during bulan purnama (full moon) at Pura Dalem, Ubud, to celebrate the 10th anniversary of the first historic gathering. The 2004 performance can be viewed here. *Not all elder dancers and musicians were ‘missing’ and had to be found; many were teaching at the STSI Denpasar (originally named Indonesian Dance Academy or ASTI) or coaching the next generation of dancers in their home village or association. Shading A. A. Ayu Kusuma Arini from the sweltering heat while her portrait was being taken. Arini is a renowned Balinese dancer and a writer who teaches at the art university in Bali. 1994. Rehearsals by the gamelan troupe, Semara Ratih. Earlier, the group had commissioned the construction of a special gamelan set called gamelan semaradhana (only the second of its kind then), designed to allow the performance of several different genres of music on a single gamelan set: four-tone angklung, five-tone gong kebyar, and seven-tone modulating semar pegulingan. 1994. Opening night of Malam Penampilan Tokoh-tokoh Seniman Werdha (The Living Treasures of Bali), 1994. Although my main responsibility was to contribute to the documentation work, I was also asked to design the invitation card and programme book for the dance performance as well as the exhibition of photographs by Chu Li, Takahiro Kohara, and Eric Peris at the Agung Rai Museum of Art. The programme book for the dance performance. We had to design and digitise the Balinese script (Aksara Bali, derived from old Kawi script) as such a font did not exist at the time. I was working for a day or two in a Balinese design studio headed by Eko Prabowo and his partner, Keith LeShana. It was a beautiful space, as one would expect of creative spaces in Bali, with views of coconut palm fronds swaying in the wind. In 1994, there were no exhibition panels or exhibition lighting systems available in Bali—they had to be brought in from Singapore. Importing exhibition panels was too expensive, and was likely to be stuck in an Indonesian customs warehouse for a long time. The exhibition lighting fixtures were hand-carried into Bali, and the last light bulb was fixed in place and turned on just as the VIP guests entered the exhibition hall (aided by the emcee who prolonged his speech to buy us time). The photography exhibition The Living Treasures of Bali opened in Kuala Lumpur at Galeri Petronas, Dayabumi Complex, on 12 April 1995, with a dance performance from Bali. 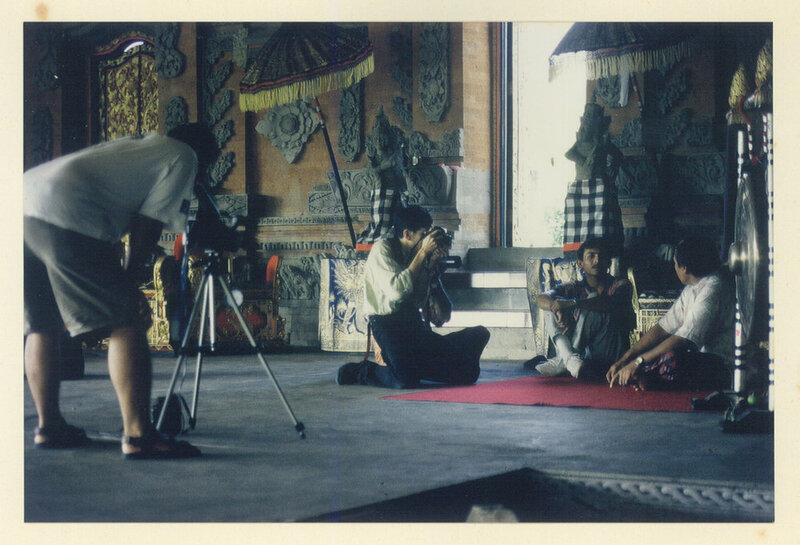 Photographs taken during the documentation process by Tara Sosrowardoyo, Eric Peris, and William Harald-Wong were exhibited at the Agung Rai Museum of Art, Bali, in November 1997. Invitation card designed by William Harald-Wong. Printed on tracing paper attached to two corrugated boards glued back-to-back, one in black and the other, olive green. The search for the legendary dancer, Ni Made Anis, born 1925. Personal anecdotes of this fascinating project and my observations of Bali and Ubud in the mid-90s will be added in the following months. Ni Made Anis often takes on a male persona in her dances. She performed the Teruna Jaya in 1994, a dance that depicts a volatile and moody young man in his attempt at courting a woman, featuring powerful expressions—full of emotion and impulsive behaviours.